One of the things I am most passionate about as a parent is eduction. I want my children to have a love for learning, reading and a curiosity about the world around them. Z who is 5, loves to learn and has a thirst for knowledge, he is constantly asking questions. Twinkl has given me so many new ideas for activities to do with him. For example I printed of a diagram of a plant cell which we can label and talk about. I also printed off a skeleton that he can cut out and put together. Z also loves maths, and often pushes us to teach him things beyond what he is taught at school. I’ve been quite conscious about not confusing him by teaching him something the wrong way, as I have memories of my Dad teaching me long division and me getting very frustrated. This is where twinkl is brilliant, it has given me resources to help him out. For example there are sheets about angles and fractions, which explain concepts pictorially better than I ever could. I also found games such as this doubling and halving game. 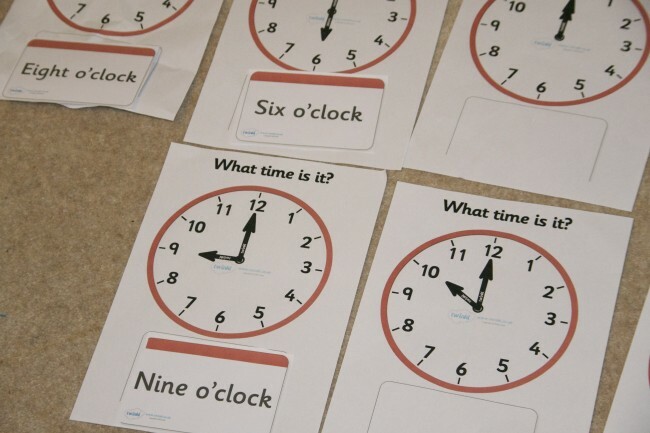 Twinkl has some fantastic resources for pre schoolers as well. 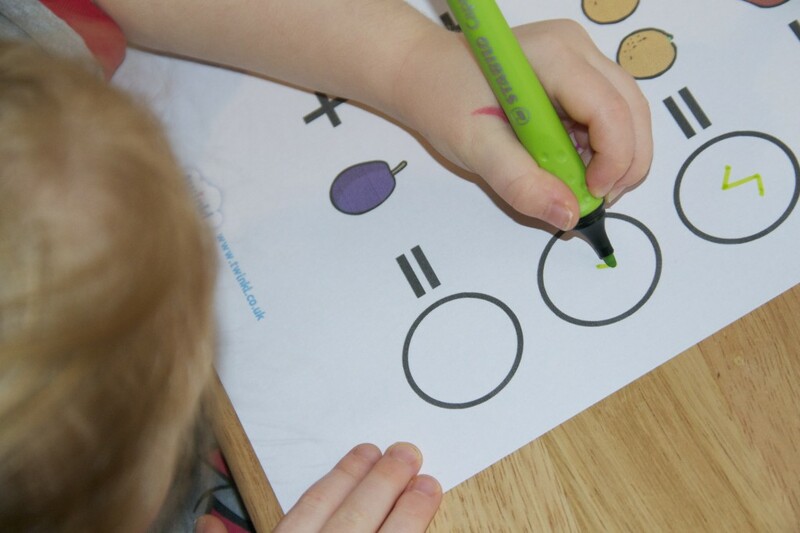 S is just 4 and desperate to try writing and maths like her brother, she was so excited when I printed off these fruit sums for her. 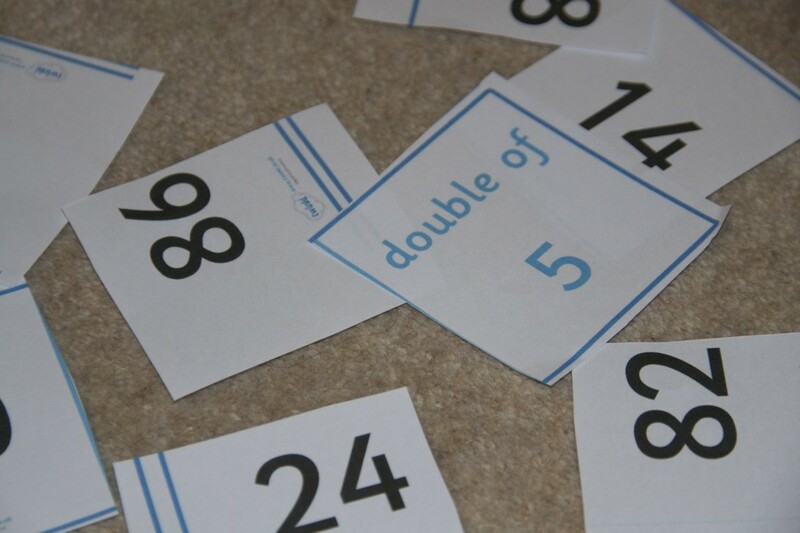 The use of images rather than numbers made it much easier for her to visusalse what was going on. She also enjoyed matching the time on the clock to the words, although Z had to help her out a bit. Little S gets ‘homework’ from nursery each week, this week was to learn about a dinosaur. 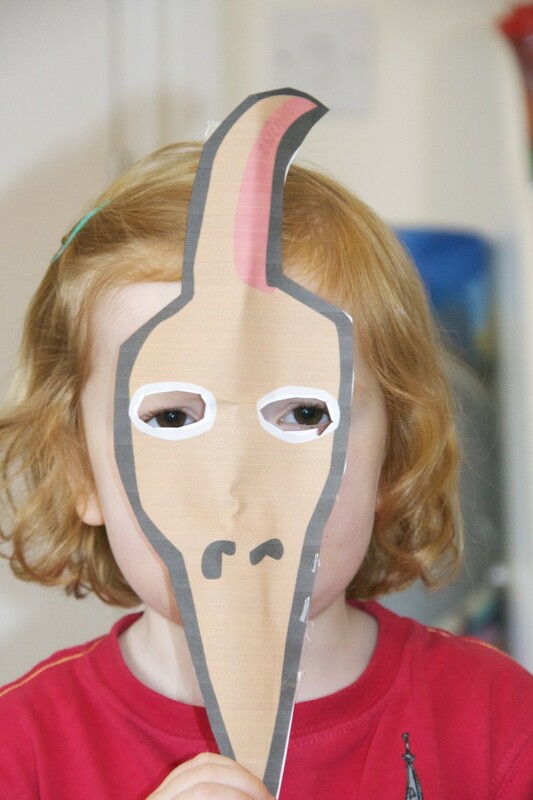 I had a quick look what twinkl had to offer and found these amazing dinosaur masks. What to you think of my little Pterodactyl? S loved making the mask and even made a Stegosaurus one for her teacher, and for me it was such an easy and fun way to do the homework. I think you can probably guess that I do quite like twinkl. I haven’t even looked at a third of the content on the site yet, but have seen so much that will be useful to me. The next thing I’m going to print are the are word mats to stimulate story telling or check spelling and shape mats to learn about shapes. These would all be great laminated and I’ve seen them being used in Z’s school too. For an extra charge Twinkl will even print out resources for you. Twinkl Premuim is just £29.99 per year which I think is great value, I know we will get a lot of use from it. We received a 12 month premium subscription to twinkl for the purpose of this review.